6:00 In The Morning? Really? So, I keep asking, why must the final night of the General Assembly, run into the following morning? Is it because there just isn’t enough time to gather all the data, in order to put together the budget? Or is it because it’s just the way it’s always been done? Maybe a little of both. Habits are hard to break, but not impossible. So, let us address the amount of time needed to gather data, and to put together a budget. There is no way to know how long exactly it takes to do this, so maybe it should be the first and only thing our Legislators do, until it is finished, and then they can turn their attention to other things they want to address. Like, oh, I don’t know, like these. And yes these are but a few of this type of resolutions, but imagine the time saved, if instead of this so-called legislation, our elected officials spent all their time working on the things which actually benefit the citizens of Delaware, rather than this feel good waste of time. HCR 59 Senate Passed Brady RECOGNIZING MARCH 26, 2016, AS “PURPLE DAY” AND REQUESTING THE GOVERNOR TO ISSUE A PROCLAMATION FOR THE OCCASION. 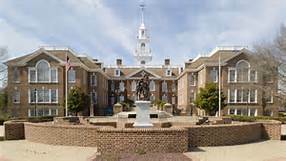 SR 14 Senate Passed Henry RECOGNIZING MARCH 24, 2016 AS ALPHA KAPPA ALPHA SORORITY or “AKA DAY AT THE CAPITOL” IN DELAWARE. HR 25 House Passed Outten RECOGNIZING MARCH 25, 2016 AS “RANDOM ACTS OF KINDNESS DAY” IN THE STATE OF DELAWARE IN REMEMBRANCE OF MADISON PETERMAN. 5 Comments on "6:00 In The Morning? Really?" If we’re going to be honest, they need to pass a resolution naming the “state dog” a Pit Bull Terrier, and they can combine it with “manufactured housing day”. The GA needs a spam filter. It’s neither. It’s so legislators can scramble bills last minute so residents don’t have an opportunity to address them. 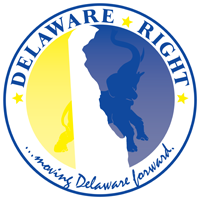 I don’t doubt that this is part of the reason Delaware ranks a Grade F (48th) in legislative accountability by The Center for Public Integrity. ← Just A Few Things Bob Would Vote No To!